Buying a home in Maryland doesn't have to be complicated. 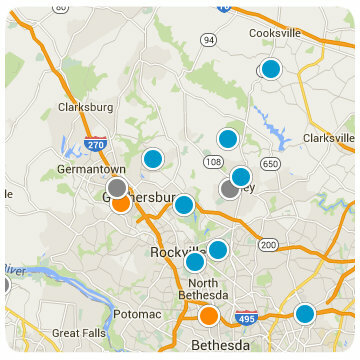 Are you looking to buy a home in Washington, Carroll, Frederick, Howard or Montgomery County? Let the Craig Brown Group with RE/MAX Realty Centre help you with your journey. Buying a house can be challenging and complicated. But don't worry! We're experts in the home buying process. Below are the basic steps of the home buying process. The more in-depth buyer's guide is available here, Home Buyer's Guide. Before you go looking at all of the condos for sale or homes for sale in Maryland, you need to get pre-approved. A Loan Officer will use basic financial information provided by you, to help show how much you can afford. Any of us at The Craig Brown Group are available to help you throughout the search process. 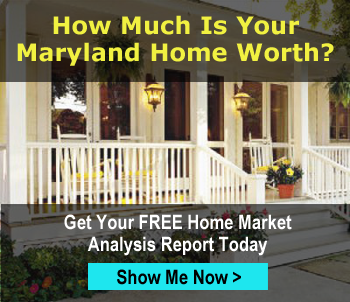 There are many types of homes for sale in Maryland. This includes single family homes, condos, townhomes, land, farms and new construction. After we help you find the right home for you and your offer is accepted, the loan process happens. This is a lengthy and more in-depth financial process. During this time, the Loan Officer will help you choose the right type of mortgage. If everything goes well and all of your financing is approved, it's time to close. Here, you'll sign all of the loan documents that are required for you to buy your home. Once that is all done, you're a new homeowner! Not enough detail above? We have created a more comprehensive, and easy to understand Home Buyer's Guide. This guide is a true, step-by-step document that outlines the process of buying a home in Maryland from start to finish. You can download it here in PDF format. If, after reading this you feel like you still have questions, please feel free to give us a call. (301) 807-5636.